We get it. With a college budget and the limited space of a dorm or college apartment, it's tough to make your room look fabulous. That's why we were really excited to find bedrooms and apartments that made it work - chic decor in a tiny space - through Apartment Therapy's Small Cool 2012 contest! You can check out all of the entries here, but in the meantime, here are some of our favorites! 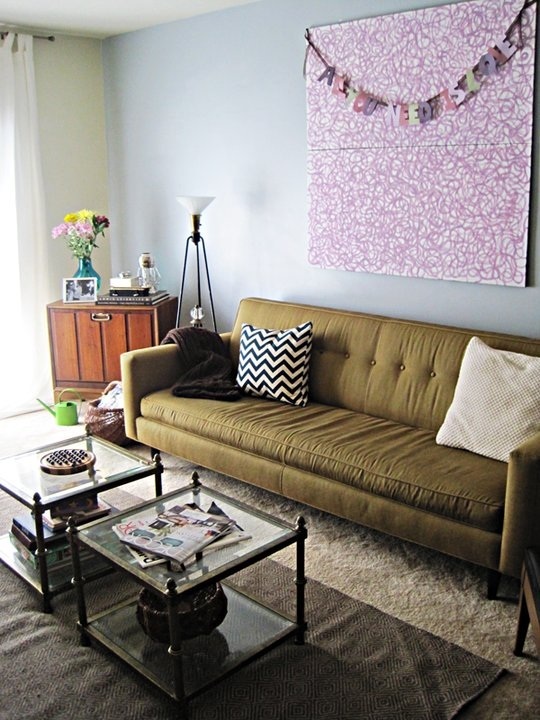 Bright pillows and propped art are a great way to decorate a grey couch. Love chandeliers? You can incorporate it without buying a fancy, real one. 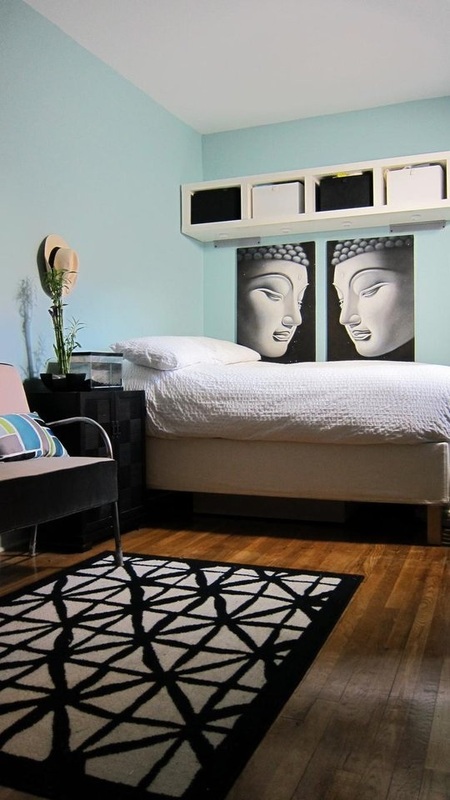 Fold up chairs, neutral pillows, and a bright blue poster are great inexpensive ways to make your room chic. Does anyone's dorm actually look like this? A black and white theme offsets the blue walls. A bit of DIY art, a bit of vintage awesomeness turns this living room into a great hang out space. For more dorm and apartment decor ideas, check out our Furnish section! Love the designs! It's great to know that playing with your creativity allows you to transform a tiny room into a remarkable abode whether trendy chic, avaunt guard, elegantly modern, or vintage. Renters don't even have to buy new stuff. They can use what they already have or those their parents no longer need. Pretty post! I like your designs-especially the room with black and white themes. Thanks! 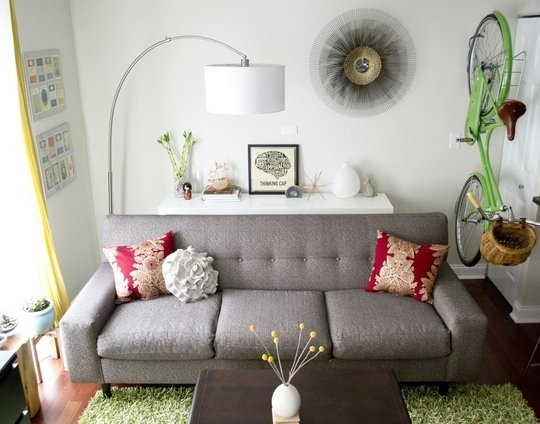 I love the sofa with bright pillows and the hanging bike decoration. So unique! Over all, the place looks wonderful! Very chiq!